HomeHealthIs The UN Using Vaccines To Secretly Sterilize Women All Over The Globe? HCG is a chemical developed by the World Health Organization for sterilization purposes. 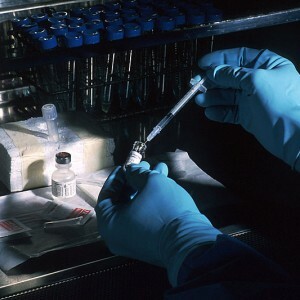 When injected into the body of a young woman, it causes a pregnancy to be destroyed by the body’s own antibody response to the HCG,resulting in a spontaneous abortion. Its effectiveness lasts for years, causing abortions in women up to three years after the injections. For example, the UN has dedicated massive amounts of resources to supporting the “one-child policy” in China. Of course the United States is not exactly innocent in all of this. These UN organizations are absolutely showered with money by the Obama administration, and the U.S. government even has an “Office of Population Affairs” that is used to promote population control all across the planet. Those involved in these efforts actually believe that they are doing the right thing. They are convinced that “climate change” is the number one problem that humanity is facing today and that the number one way to fight “climate change” is to reduce the number of people. So they believe that they are actually “saving the world” by pushing a population control agenda. TLB recommends you visit End of the American Dream for more great articles and pertinent information.